‘Reader’s Cup Collaborative’ | Teacher-Librarians connecting . . .
Teacher-Librarians connecting . . .
T.ogether E.veryone A.chieves M.ore – T.E.A.M. ← Creating with ease and iPads. A wonderful report of the FNQ years 6&7 ‘Reader’s Cup’ held in Cairns follows: Thanks Annette & Liz for writing up the information for publication. 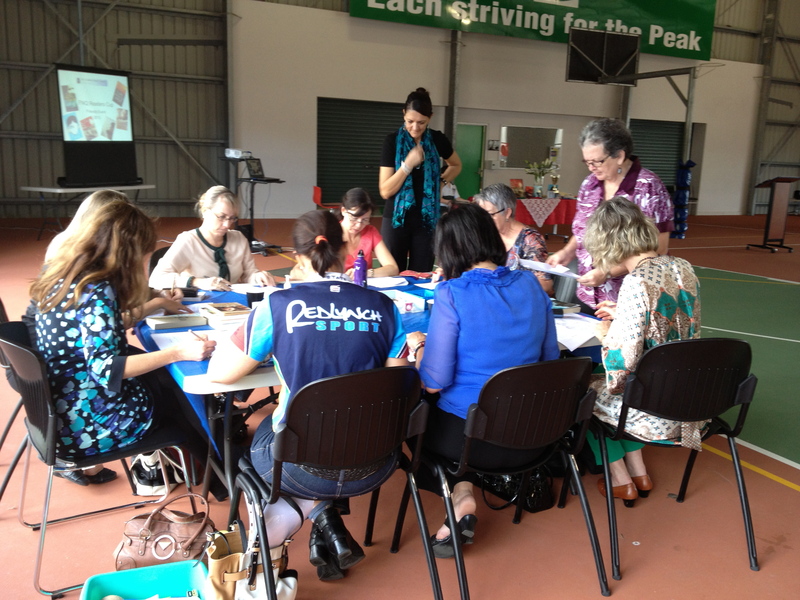 After the past several years of being hosted by the Tablelands Teacher-Librarian Network, the FNQ Readers Cup this year returned to organisation and hosting in Cairns. A successful event was conducted recently when 21 excited teams descended onWhitfield State School as the host venue for the quiz challenge. This year’s set books were novels – Wonder, A Long Walk to Water, The One And Only Ivan, The Silver Sword and My Girragundji as well as the picture book, The Red Piano. Student teams of four members had been reading the books since just before Easter and were keen to test their collective memory with ten questions about each book. A group made from the volunteer school co-ordinators then marked and scored the answer sheets to decide the event’s awards. The place getters on the day were: first – Whitfield SS, second – St Thomas of Villanova, Mareeba and third – St Joseph’s Parish School, Atherton. Thanks to local book stores – Angus & Robertson – Cairns Central, Collins Books – Smithfield, ABC Shop – Cairns Central and Harley’s Educational. Six new set books await the winning team as their preparation now begins for the state finals event in September. Valuable support was received from the Tablelands Regional Council and Lions Clubs of Millaa Millaa, Atherton and Mareeba as well as Lioness Clubs from Malanda, Yungaburra and Mareeba. This will assist the winning team with accommodation and travel to the state finals in Brisbane. As well the winning team has the special opportunity to attend author sessions at the Brisbane Writers Festival on the day after the state finals. All schools at the regional event were successful with the Spot Questions to win a donated book prize for their school libraries. 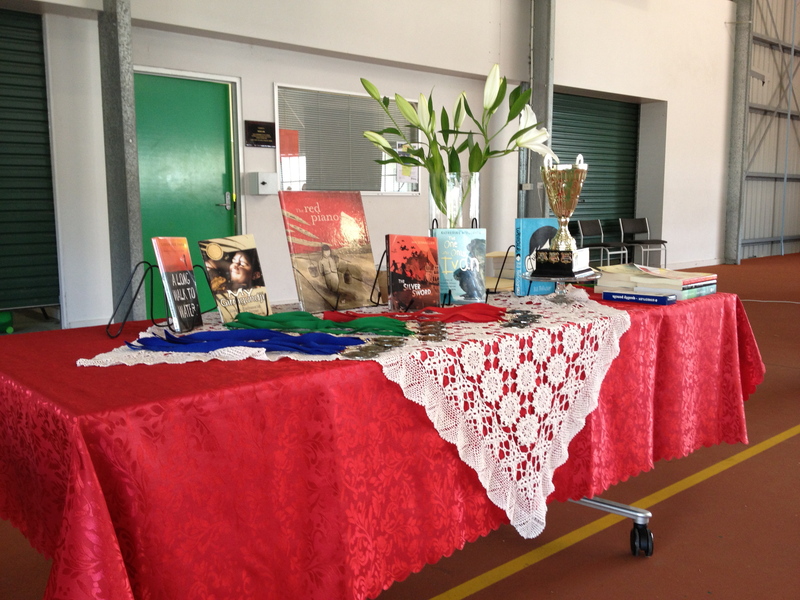 Many thanks to the book sponsors – Scholastic, Australian Standing Orders and Tablelands Book Shop. Following announcement of the winners and presentation by Education Queensland Regional Executive Director Clive Dixon, the students enjoyed a shared morning tea and browsed at the book shop which was this year facilitated by local book seller, Harley’s Educational. Co- convenors, Annette Ryan and Liz Jorgensen, acknowledged the valuable assistance given by the previous co-ordinator Lyndell Sellars from Malanda State High School. Lyndell continues to host the Year 8/9 event in Malanda. As well Cairns & District Teacher- librarians helped out the Year 6/7 event by creating questions and helping with various jobs on the day – photographer, MC and markers. Special thanks also must be given to Verdi Reid (a-lot) for her considered recommendation of the wonderful selection of set books for this year. Thanks to all who joined in to showcase reading and give so many students an opportunity to shine in this field. We look forward to continued association with Children’s Book Council of Australia and future success of this event in our region. This entry was posted in Advocacy, Literature and tagged Collaboration, Literature, novels, reading. Bookmark the permalink. Thanks Fran – the ‘simplebooklet’ looks wonderful! This work by TL-T.E.A.M. is licensed under a Creative Commons Attribution-NonCommercial-ShareAlike 3.0 Unported License. The need for ADVOCACY continues . . .
SLAQ – Teacher Librarian of the Year. Aust. Library & Information Assoc.